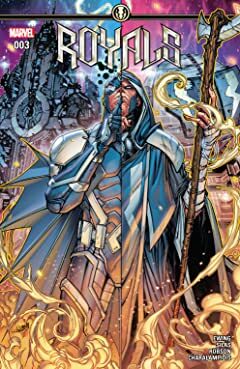 A myth from the future. 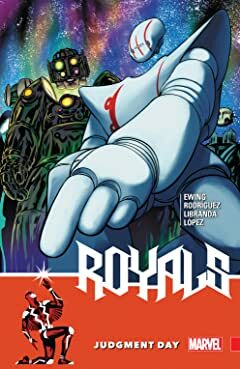 A quest to the far stars. 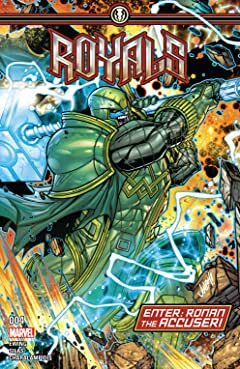 A legend written across galaxies. 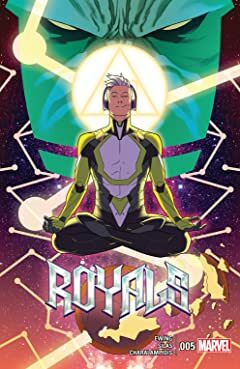 Guided by the other-dimensional Kree warrior known as Marvel Boy, the Inhuman Royal Family departs on an odyssey across all creation on search for lost secrets — and the last hope — of their people. 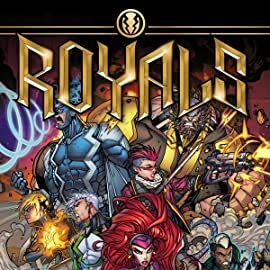 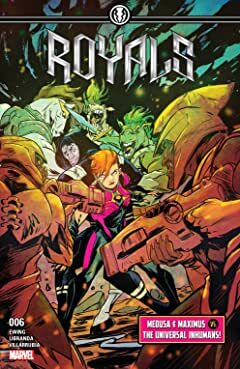 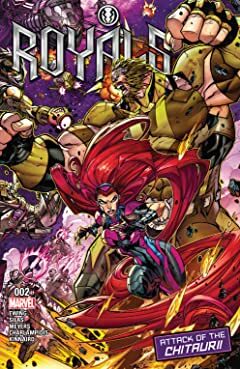 Penned by fan-favorite Al Ewing (The Ultimates, New Avengers, Loki: Agent of Asgard) and drawn by the white-hot Jonboy Meyers (Teen Titans, Spawn), ROYALS is a Marvel-style space epic that takes the Inhuman Royal Family and plunges them into the unknown! 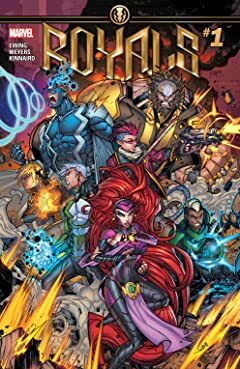 The knowledge they seek could change the course of Inhuman destiny, but it cannot be attained without cost...for at the end of days, the Last Inhuman tells the tale of how seven left Earth for the stars...but only six returned.